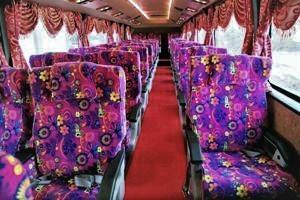 Super Coach Holiday is one of the top bus operator based in Johor. The company offers bus from TBS (Terminal Bersepadu Selatan) to Skudai, Johor Bahru and Yong Peng. Apart from that, they also have bus from Tun Aminah to TBS. Super Coach Holiday offers a quality service for their customers. Moreover, they always give their best to ensure a safe and comfortable journey for their passengers. Super Coach Holiday buses come in many lovely colours. For better cosiness, the seats are neatly arranged 3 seats in a row. The interior design of the bus is also spacious and comfortable for the long distance trip. The ticket price for Super Coach Holiday is only from RM 35. 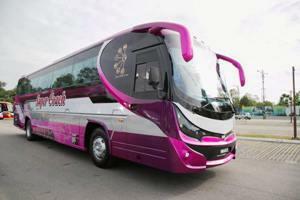 Since Super Coach Holiday join BusOnlineTicket.com, you can now book Super Coach bus ticket online from our site. You can check the availability and bus schedule from the list below.